Pastor Ruth Ann Loughry was born in Cheyenne, WY, and baptized into the United Methodist denomination. She attended St. Olaf College in Northfield, MN, majoring in Music Education with a minor in English Education. Ruth Ann taught elementary school music for five years in Littleton, CO. Her seminary studies took place at Luther Seminary in St. Paul, MN, and Wartburg Seminary in Dubuque, IA. 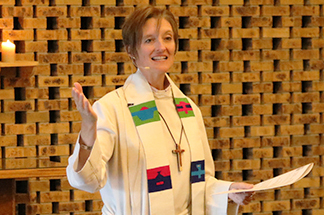 Ordained in 2001, she has served as an Associate Pastor jointly at Lutheran Memorial in Pierre, SD, and Grace Lutheran in Hayes, SD, and Bethany Lutheran in Cherry Hills Village, CO. She delights in being present to and with God’s people at ordinary and significant milestones in life. 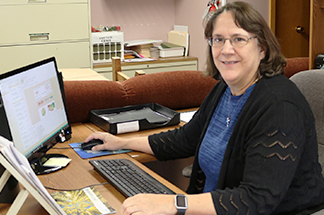 Pastor Ruth Ann loves to be outside, walking, biking and looking for birds. Kathy grew up in New Jersey. 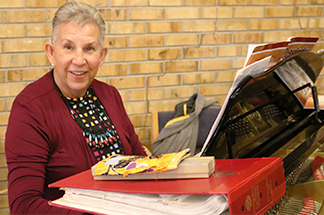 She was 16 years old when she started her first church accompanist position to spread the musical joy of Christian worship. She received her undergraduate degree in Social Work from Stockton State College (NJ), and her Master of Divinity from Pacific Lutheran Theological Seminary (Berkeley, CA). Kathy and her husband, Zan, have been married for 38 years and have lived in Loveland for 30. They raised their four children in Loveland. Their children and grandchildren have scattered around the globe, giving them great reasons to travel. In her spare time she enjoys reading, running, yoga, taking pictures, and being outdoors. 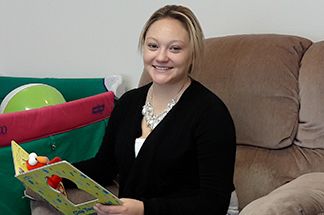 Megan is currently pursuing her BA in Construction Management at Colorado State University in Fort Collins. She has lived in Colorado all of her life and grew up in the Littleton area. She enjoys crafting, especially with the nursery kids. She also enjoys cooking comfort foods (but no baking). If you want your children to experience a loving and fun church nursery, you should bring them to King of Glory to spend some time with Megan. 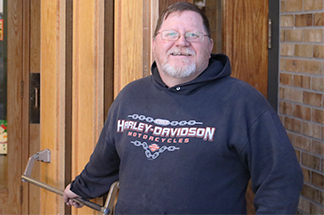 Darrell is our custodian at King of Glory. He does a lot of different things and can be found working away on building upkeep, repair, and cleaning at all hours. Golf is his hobby but serving is his passion. He also enjoys a day by the water with his grandkids in tow. He loves watching sunsets along the ocean and a great cup of coffee.